I love that I am always finding inspiration everywhere! Craft fairs and antique shops have always been a great way to find some pretty amazing creations that I wouldn't normally find in the average shopping mall. The best part....taking these wonderful crafts and making tiny tweaks of my own to add a personal touch...plus who doesn't love a good project! This weekend was no exception! I found some adorable crafts that are so easy to make but are big in the impact department and I can't wait to get started! Take a look! 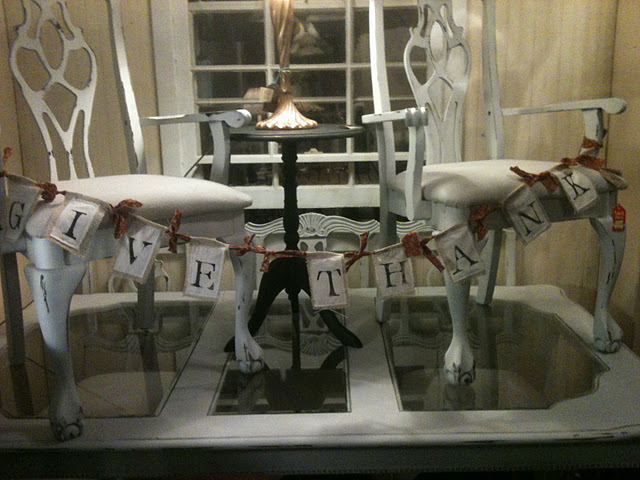 I love the natural look of this Thanksgiving banner, burlap is such an amazing fabric and gives that old world, romantic feeling to just about anything. 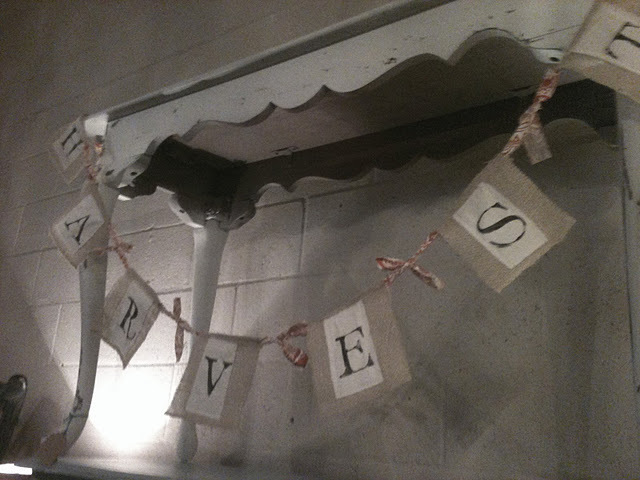 What message would you incorporate on your banner? I can just imagine a soft welcome to a new bundle of joy or a wonderful message in celebration of two newlyweds! Another great find! 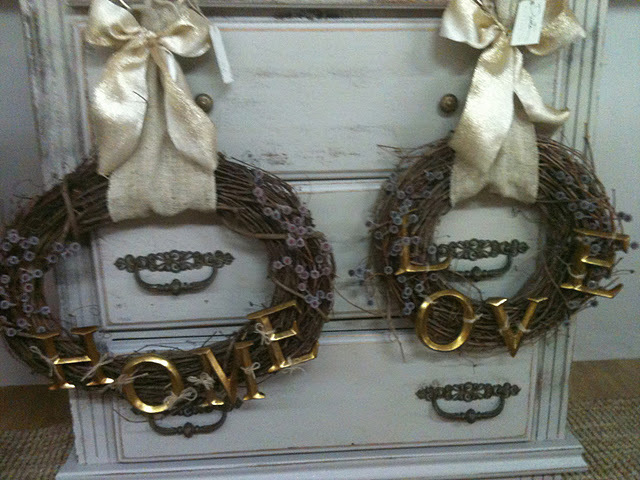 These wreaths are simple and elegant! Perfect for any season really! 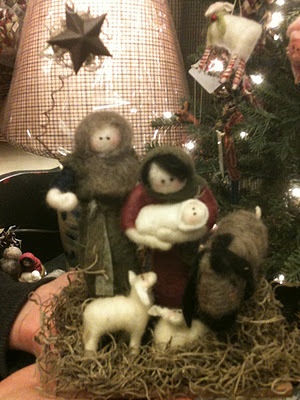 My wonderfully talented mom is gonna help me put together one of these beauties very soon! I love that she is able to teach me so many techniques! One of my favorite things about these wreathes are the gold lettering and I'm hoping we can construct a way in which I can switch them out depending on the occasion...like Love for Valentines Day, Home for every other day and maybe something cute like Believe or Cheer for Christmas! What do you think? I found these adorable felties! So sweet and perfect for Christmas! Before you say it I know its still Halloween but when I came across these cuties I just had to post!